The <menu> tag specifies a list/menu of commands. The <menu> tag is applied for context menus, toolbars and for listing form controls and commands. The <menu> tag belongs to flow content. The <menu> tag supports Global Attributes and Event Attributes. The <menu> tag was depreciated. The <menu> tag is again defined. Using contextmenu attribute we can create a context menu for the element. <menu> tag is used to define the list of the commands for menu list. 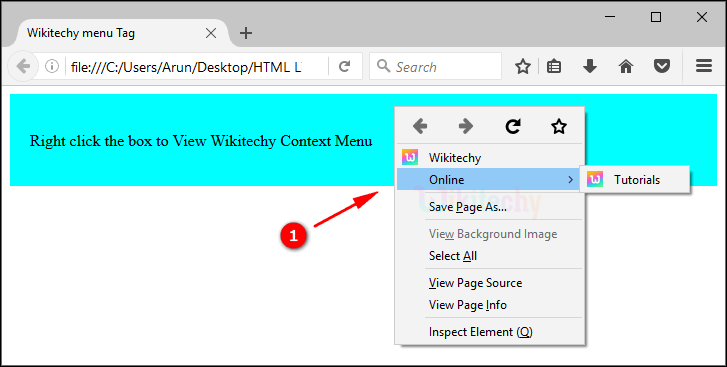 type=” contextmenu” attribute used to specifies the menu is a context menu. label attribute used to define the text which is to be shown in the menu. Here the output shows the context menu. label text No Yes Describes a visible label for the menu. context No Yes Describes that the type of menu to show. The <menu> tag is only supported in Firefox. 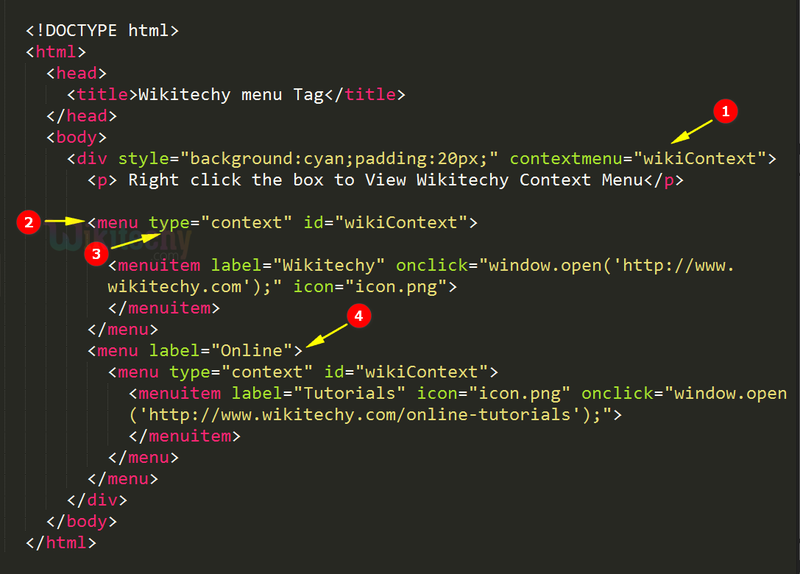 The <menu> tag is only works for context menus. To style menu lists use CSS.